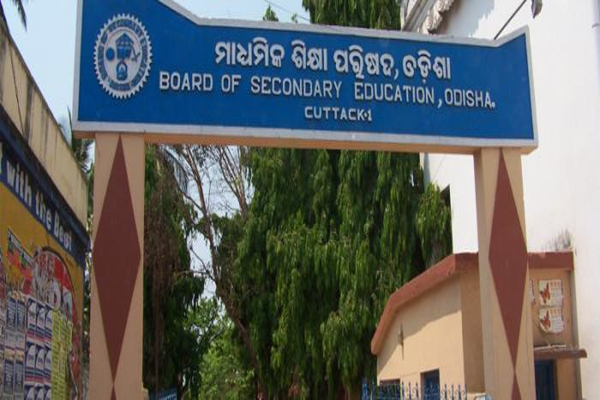 Bhubaneswar: The Board of Secondary Education (BSE) authorities today wrote to the Crime Branch seeking a probe into the Odisha Teachers’ Eligibility Test (OTET) question paper leak. BSE Secretary Ramashish Hazra informed that they have written to the Crime Branch requesting it to conduct a probe into the unfortunate incident. Earlier in the day, the BSE cancelled the OTET examination following leakage of question papers. The examinations were cancelled after the first sitting as the original question papers matched with the leaked papers that have gone viral on social media this morning. The OTET exam was scheduled to be conducted in two shifts today – between 10 am till 12.30 pm and 2 pm and 4.30 pm. The Board of Secondary Education conducts the OTET to enrol teachers from Class-I to Class-VIII. It is conducted in offline mode in two sets. On the other hand demanding resignation of School and Mass Education Minister Badri Narayan Patra, ABVP activists gheraoed the Minister’s residence. A scuffle was also ensued between the protestors and police as the formed tried to barge into the residence of the Minister.